Lakland Skyline 55-01. Nordstrand Big Splits and an Aguilar OBP-3 preamp. I suppose a Rumblefish is about as "other" as it gets. I just love these things! For those who have'nt played one, they sound terrific. 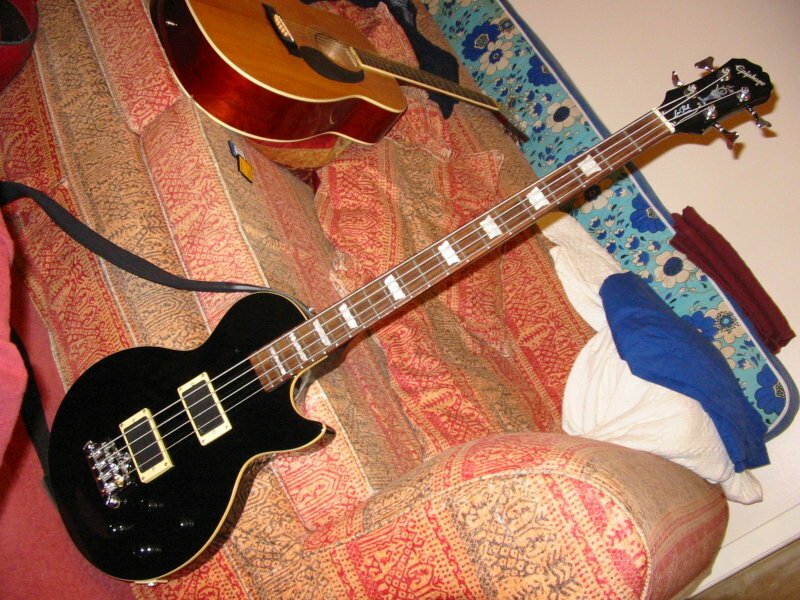 Ok, just to prove that I actually do play around with a Bass Guitar, here are a couple of pics of my Yamaha BBG4. 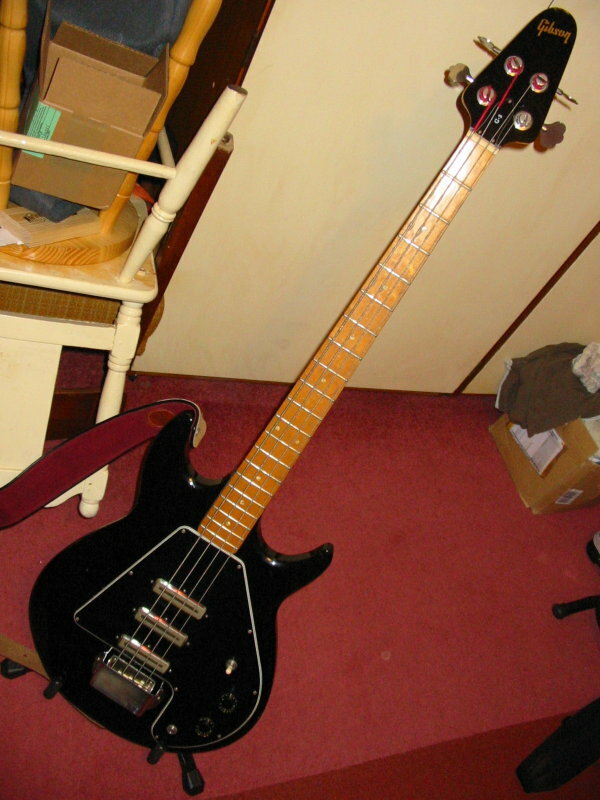 I bought it used a couple of years ago just to find out if playing Bass was for me. I have been a guitar player since I was a kid (30+ years). 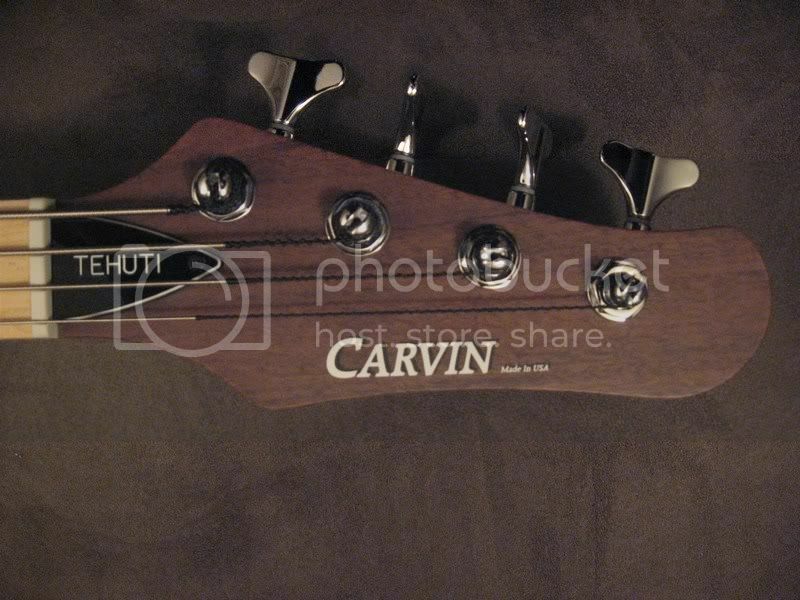 I found this guitar and an SWR LA12, both about 3 yrs old, on Craigs list for $300. Seemed like a steal to me so I grabbed them. I have since updated the amp to an SWR WorkingPro 12 (which I love) and would like to add a US L-2500 at some point in the future. Needless to say, I am really enjoying playing the Bass Guitar as do my guitar playing friends. Too many times we had way too many guitars at an event but no bass. Not a problem anymore! I play mostly worship services and other events. Not a member of a real band or anything. I just restrung it with Elixer lights and I really like the sound and feel of the strings. I had put a set of Daddario Chrome flatwounds on it but didn't like them at all except for the feel. For some reason they had this weird metallic ringing sound that I just hated. The open E string had some funky harmonics as well. They just didn't seem to work well on this bass. 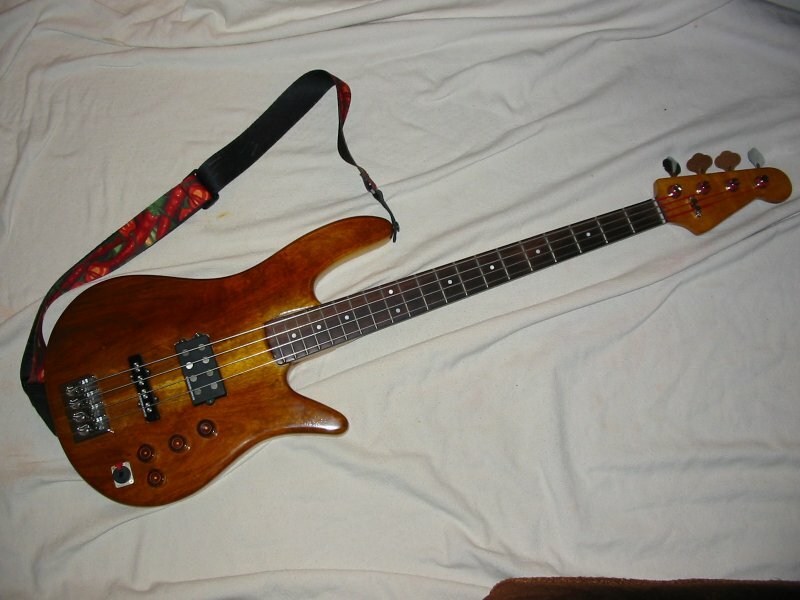 I know the flamed look is fake, but, I think this bass looks decent for a learning instrument. tyler durden wrote: I suppose a Rumblefish is about as "other" as it gets. I just love these things! For those who have'nt played one, they sound terrific. 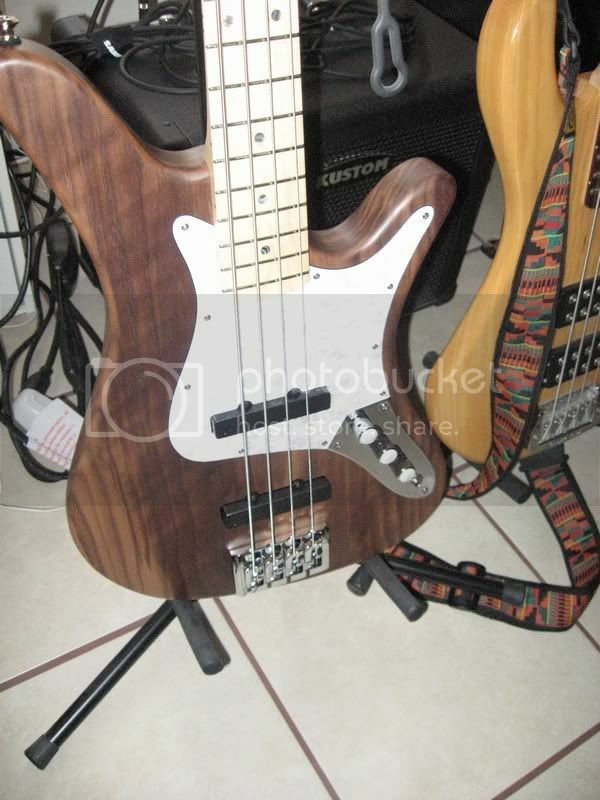 Warwick, Jack Bruce Limited Edition Thumb Neck thru Bass. 107 made, this is number 79. Bubinga Pomille, LED position Markers, Jack's signature in MOP, active/passive, ebony board, neck is wenge and bubinga. Last edited by BluesBassPlayer on Sun Jun 06, 2010 8:32 pm, edited 3 times in total. Gibson, Limited Edition, SG short scale. I added a HipShot bridge, to make intonation and adjustments simpler. Fender Custom Shop P. Concentric controls, HipShot Hardware, HMV Bridge, Antiquity II pups. MusicMan 25th Anniversary, Quilted Top. Last edited by BluesBassPlayer on Wed Aug 04, 2010 9:00 pm, edited 1 time in total.